Jigarre Jammin’ Our motto: Don’t die wishing you’d done it! Jigarre Jammin’ is a musical phenomenon! 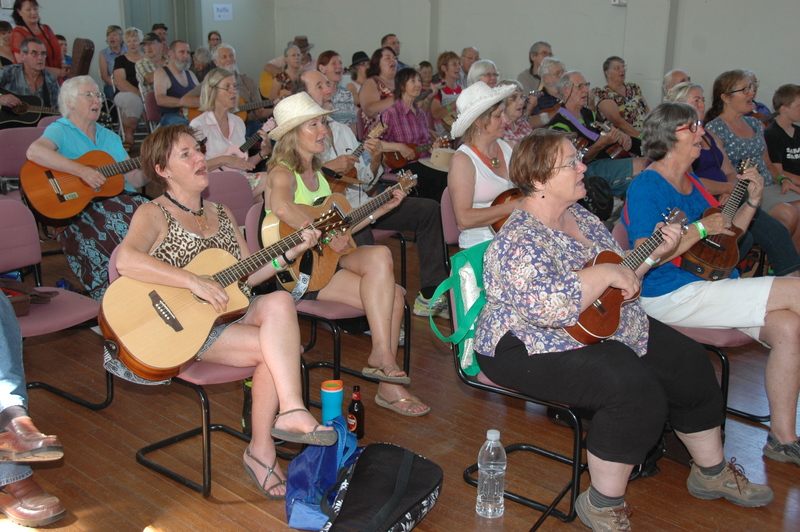 Up to 70 community-based musicians meet at Girgarre every month for up to five hours of playing, singing, sharing knowledge, catching up – and they love every minute of it! Girgarre is a tiny but very important dairying centre of fewer than 200 residents, located midway between Echuca and Shepparton. 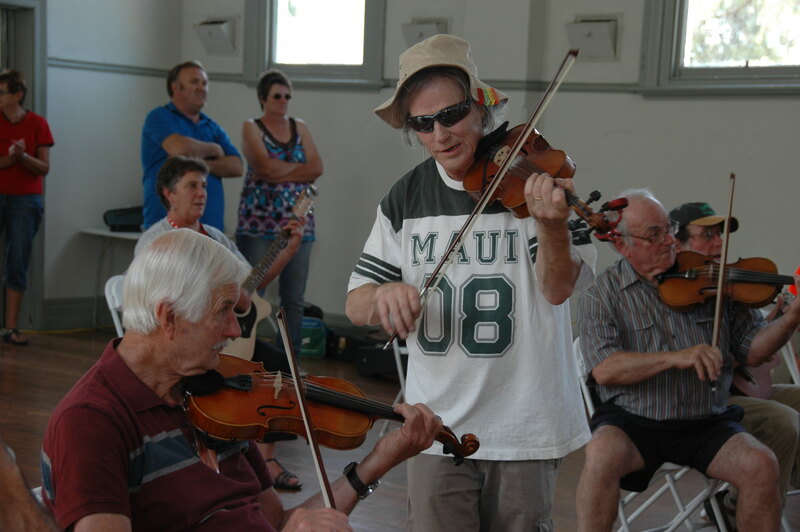 Musos of all ages and stages come from everywhere in northern and central Victoria. Some older players have waited for years to learn; others have never stopped and generously share their skills. Everyone joins in with an enthusiasm and regularity that must be unique in country Victoria. Final jam to take us to a 4pm close. Styles played cover country, folk, blues, bluegrass, traditional Aussie bush numbers, Celtic, golden-oldies pop, gospel and contemporary. Instruments include guitar, ukes (lots), banjo, mandolin, bass, harmonica, and violin. If you don’t want/need a workshop, you can continue jamming or find a corner with your mates and practise a walk-up number. 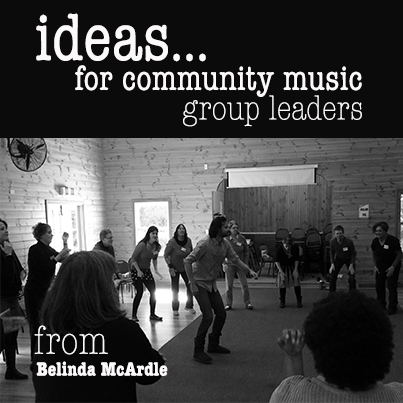 A number of musos have found kindred souls and formed bands of their own from this process. Jamming our way It’s important to define “jamming” the way we do it – we make it really easy by putting both lyrics and chords up on a screen via data projector. That way everyone can join in, regardless of expertise or familiarity with the song. Free instrument loans Want to experiment or try before you buy? Use our free instrument bank – guitars, mandos, ukes, even a banjo or two. Thanks to donations from Fender and other supporters, we have lots to offer. The cost of all this is a mere $2 per person, and a plate, no membership or subscriptions involved. And there’s more! Musical camp-overs twice a year, held around a Jigarre Jammin’ weekend! The first camp-over in 2012 was a total success. Tents and caravans on the reserve next to Girgarre Town Hall, music Friday to Sunday, happy hours, communal meals if you wanted and everyone getting to know each other better as we played on into the night. The May 2015 campover featured a concert with a lineup of bands that are connected to Jigarre Jammin’ in some way and was a great success. Save the date! 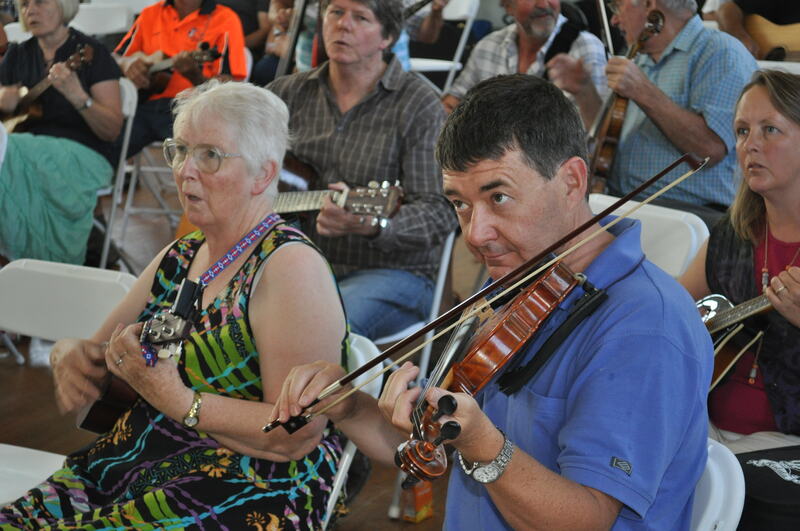 Soon planning will begin for the 10th anniversary of the Girgarre Moosic Muster in early January 2016 – check out our website We’ve emphasised playing music in this article but the Muster contains heaps of workshops and opportunities for non-playing singers. Some secrets of our success: Our organising team, led by real community-action dynamos, Jan Smith of Girgarre and Di Burgmann of Shepparton, have long histories of involvement with our communities and helping to bring opportunities to people. We are devoted to acoustic music and devoted especially to encouraging beginners. We often see that musos find themselves the only one of “their kind” in a small community and we aim to counter this isolation by bringing them into our music fold.